We coordinate buying across a range media partners (Newspapers, magazines and industry publications) to control media costs and market access. We also publish Mint Edition Luxury Life & Style Magazine, the only content driven magazine to target both Chinese travellers and Chinese Students/Young Professionals living in the UK. 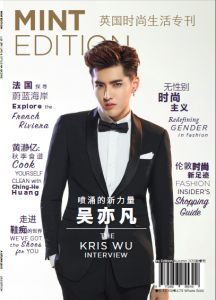 Mint Edition magazine takes a multi-distribution approach to engaging with the Chinese consumer.